Home Task Management How to link tasks? Task Linking can be done upon task creation and task edit. Creating task: – You can link two tasks while creating a new task. You can do this by following steps. Click on ‘+ Quick links’ and click on ‘Task’. 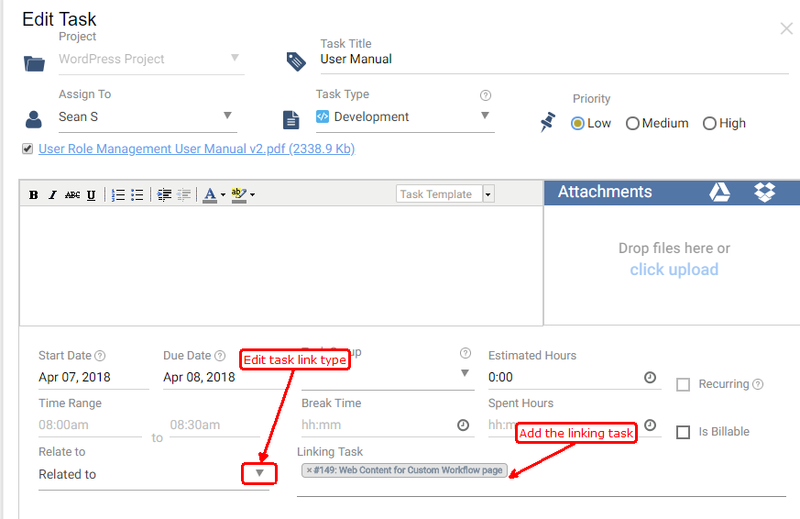 Add task details such as Task title, project, assign to etc. 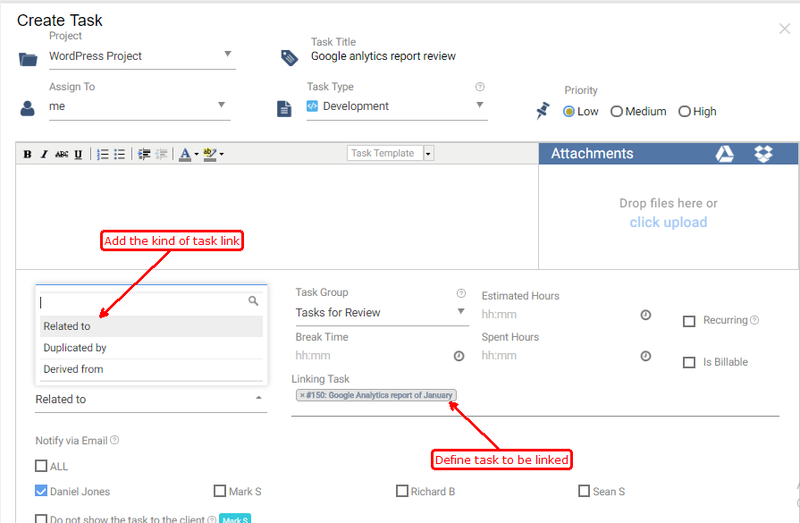 Click on ‘Related to’ to define the type of task link and add the task in the Linking Task field. Once all details are added, click on Save & Exit. Navigate to task details page of the task. Click on to add task link. A pop-up appears asking for Task link type and task. Click on to add more tasks. After adding the required details click on ‘Update’.